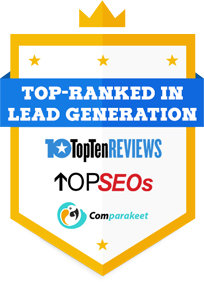 Businesses in Australia, much like other companies across the world, have their eyes set on generating a high number of qualified leads. For the most part, leads translate to sales if the messages are right and if the proper strategies are set. But in terms of acquiring B2B leads that are likely to convert, businesses will have to explore better approaches to the way they handle their marketing campaigns – if it means securing their positions in their respective markets. It’s a no-brainer that lead generation comprises much of the activities that businesses will need to apply in order to build their audience as well as open up sales opportunities. But like previous years, the same problems continue to persist. And although businesses have differing opinions as to the issues they are facing with lead generation, these issues still require them to apply fresher and newer approaches. After all, strategies in B2B lead generation change over time, which means to say, businesses will have to adapt to the changes in order to keep up with the competition. Sure enough, most of these changes can happen within a single year. So, just when you thought you have gained substantial successes with the strategies you have applied in January, can expect these strategies to be rendered obsolete in no time. In other words, you shouldn’t always assume that your plans should work well across the board. Buyer preferences are changing and they are changing fast. Likewise, the methods to reach out to them are also rapidly evolving as disruptive technologies are being introduced on the regular. With that being said, it has become essential for Australian companies to be vigilant of new innovations that could spell the difference between success and failure. In a way, the best strategy for lead generation should always involve modifying your marketing tactics, goals and key performance indicators to better flow with the changing times. Time does fly too fast, and the only way we can live with it is to keep up the pace. For that, your lead generation should always be continually optimised to suit prevailing trends. For Australian companies, here are the strategies that would definitely work best before the Christmas bells start ringing again. Marketo makes a perfect case for encouraging businesses to use advanced AI systems in managing their sales pipelines. Right now, marketing automation platforms have become even smarter. And the key innovation that drives the success of this technology is predictive analytics. From a CRM standpoint, such tools can benefit companies by simplifying the process of managing and nurturing leads. In this sense, automation would be your ultimate weapon when it comes down to increasing your lead volume and, in the long run, increasing your sales conversions. Content still reigns supreme when it comes right down to generating qualified lead traffic. But if your company still prioritizes pure text content, then you might want to tone down a little on writing How To’s and listicles. Audiences right now engage a lot quicker through effective images and visuals. As a good rule of thumb, you can focus on producing informative and relevant videos as these will help you build inbound links on top of nurturing potential clients. Sure, telemarketing strategies are still significant in their own little way, but these methods are being pushed to the sidelines by digital marketing. While cold calling isn’t dead yet, it boosts your marketing further if you allocate a bulk of your resources on channels that produce the best results. And this is because the number of attempts at calling potential leads has increased. In this sense, a wiser approach would be to focus on approaches that drive engagements. You can start by beefing up your SEO efforts and delve into areas you haven’t explored yet, such as PPC. B2B marketers in Australia will find it beneficial to drop whatever it is they are doing right now and adopt what’s currently “hot” and trending. But this doesn’t mean they should stop the strategies that offer consistent results. When you are in doubt about the supposed trends in lead generation right now, you can always consult your analytics to give you a more accurate illustration of the market landscape. By adopting new trends and drive them using analytics, you will be able to secure your position or surpass the competition during the last half of the year. https://www.callboxinc.com.au/wp-content/uploads/2018/07/How-to-Approach-Lead-Generation-in-the-Second-Half-of-the-Year.jpg 450 800 Dara Lin https://www.callboxinc.com.au/wp-content/uploads/2019/01/callbox-logo.png Dara Lin2018-07-17 07:54:132019-04-12 18:08:19How to Approach Lead Generation in the Second Half of the Year?